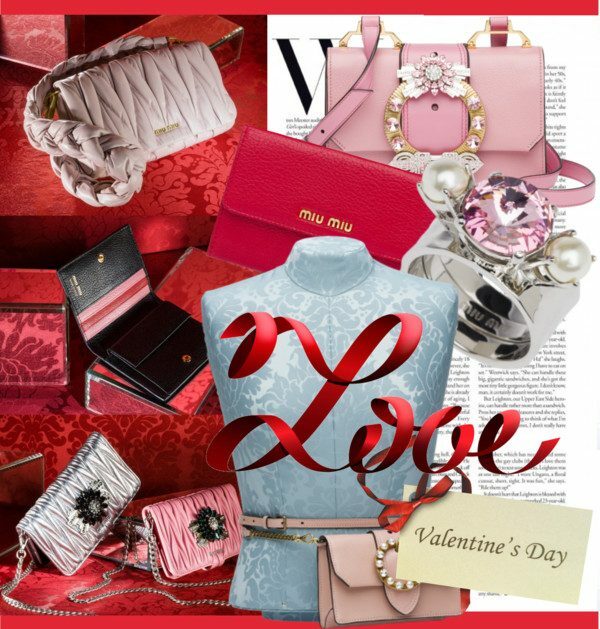 You are currently browsing the archives for the tag 'valentine’s day'. 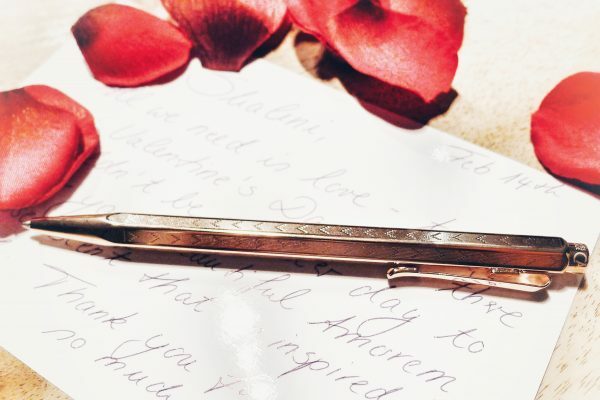 Looking for new and creative ways to show your loved one how much you care? 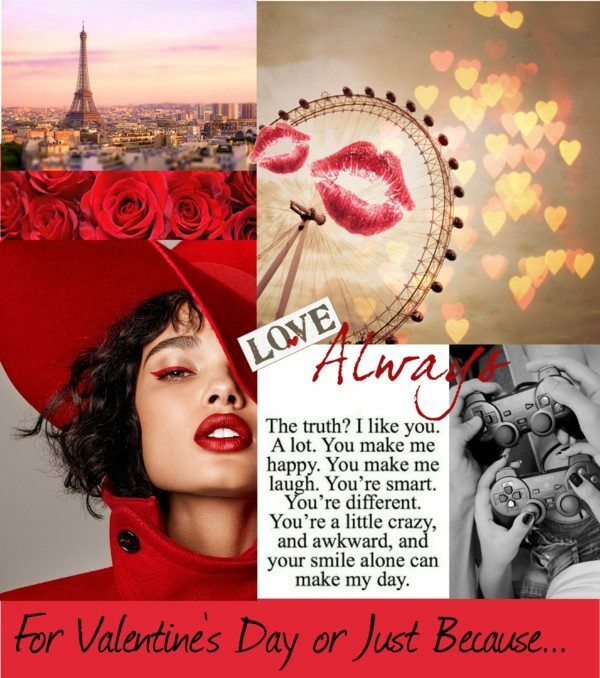 You don’t have to save romance just for February 14, why not make every day Valentine’s Day! 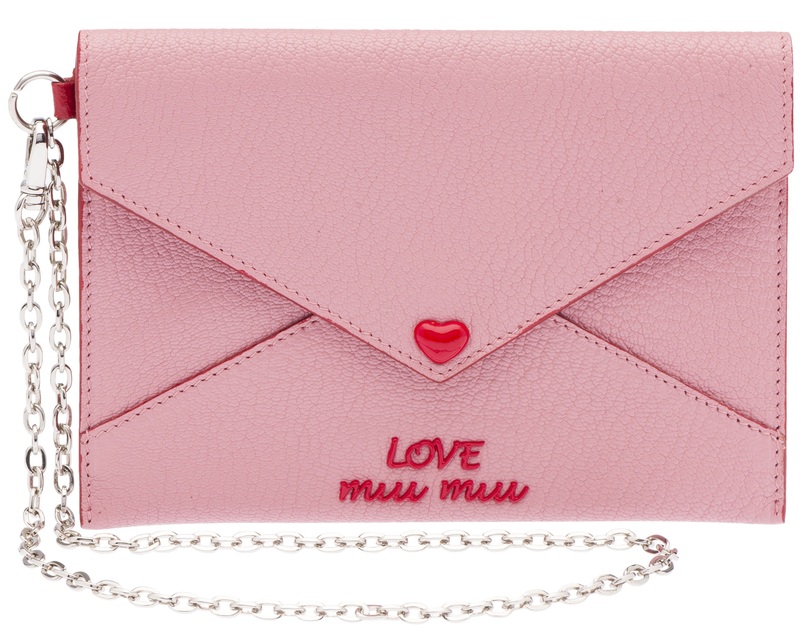 Saying «I love you» has never been easier, especially for those finding it hard to express their feelings directly. 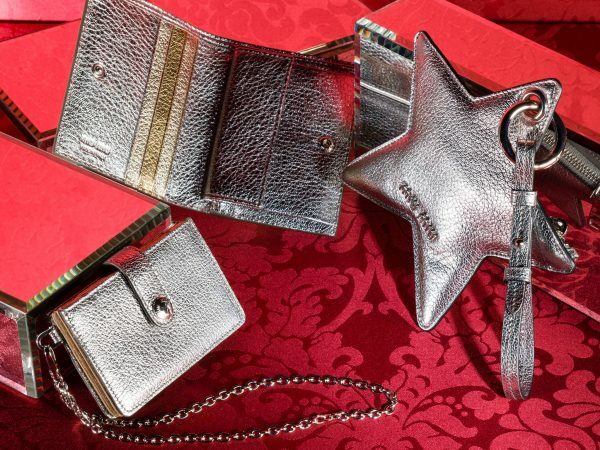 Gentlemen, here we go, I have the perfect gift. 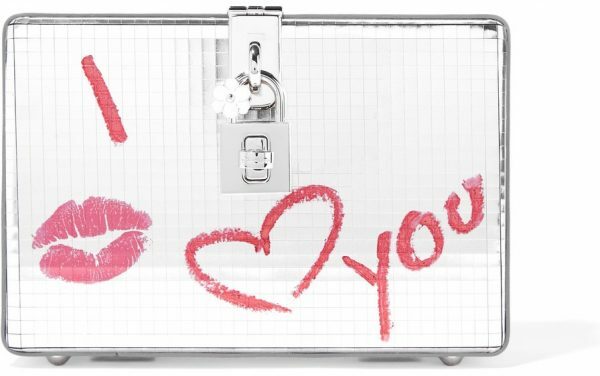 Dolce & Gabbana‘s printed metallic leather box clutch is crafted from laser-cut metallic leather and printed with a playful message designed to look like lipstick. This Italian-made accessory has a handy internal mirror and the label’s signature flower-embellished padlock. 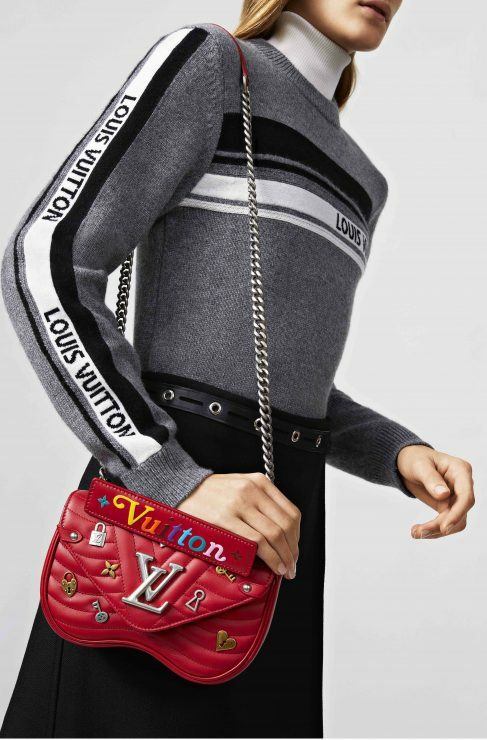 Attach the strap to carry it over your shoulder. 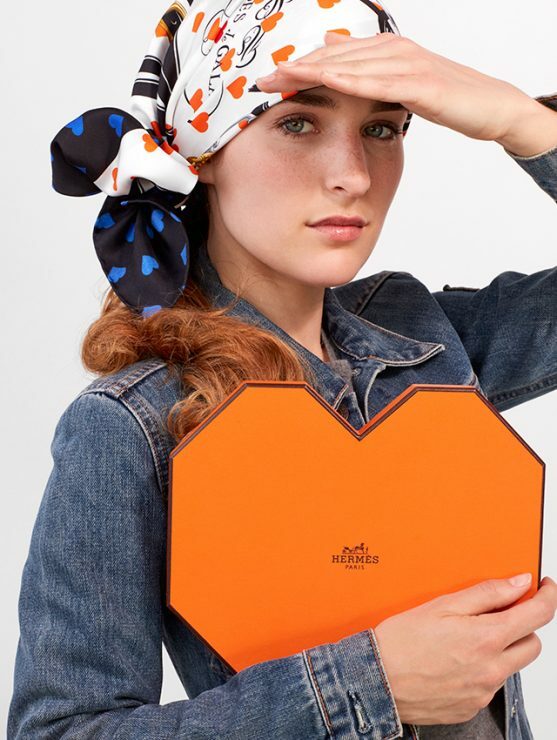 Love is in the air at Hermès as one of the French House’s most iconic scarf prints «Brides de Gala» has just received a little «affaire de coeur». 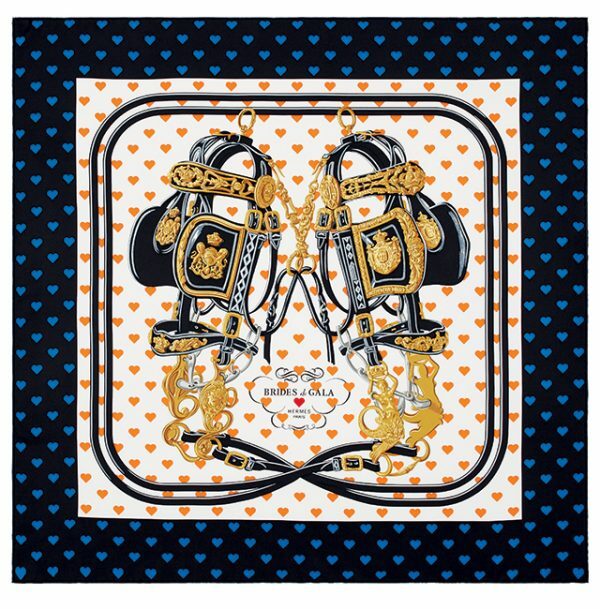 Designed by the brand’s famous artist Hugo Grygkar, this limited edition is printed with the signature equestrian motif combined with blue and orange hearts. 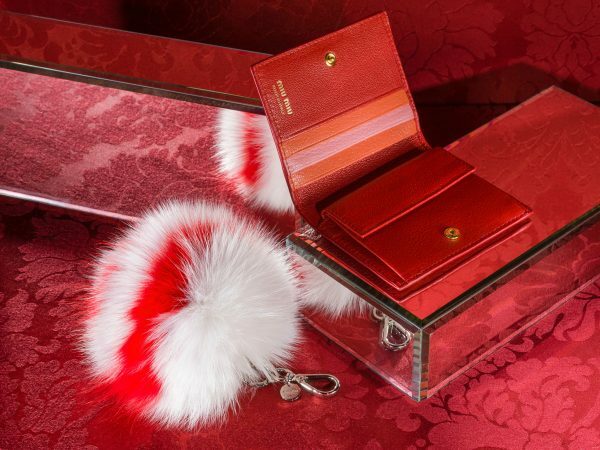 The best is yet to come as the special packaging for Valentine’s Day is an exclusive heart-shaped orange box. Attention lovers! 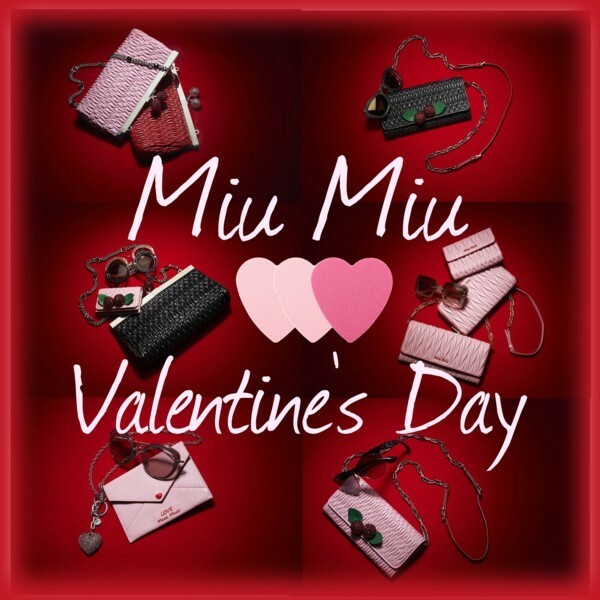 MIU MIU introduces a capsule collection especially for Valentine’s Day. 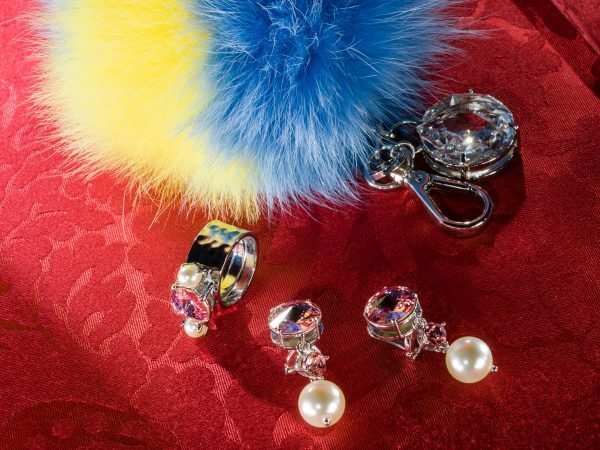 The offering draws on the playful juxtaposition of different worlds. 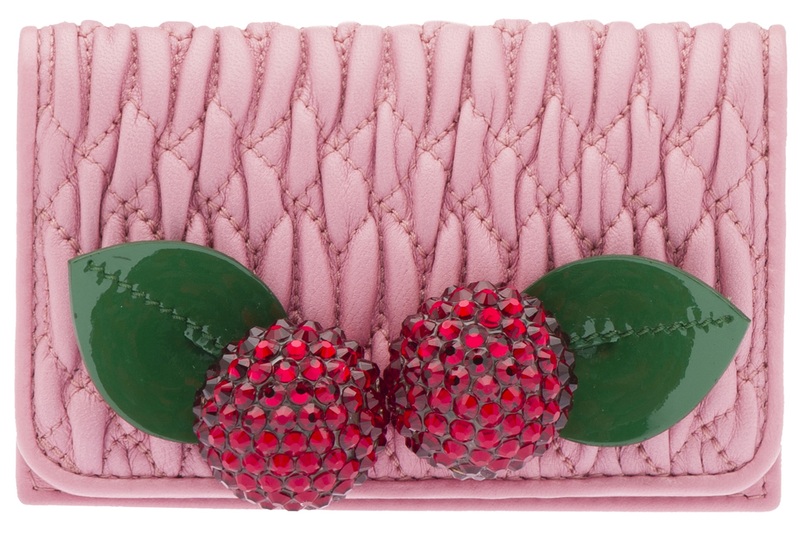 Cherries are the recurrent sweetly romantic motif of this quintessentially feminine collection, always coming, like lovers, in sparkling pairs and nestling on vivid green crystal leaves. 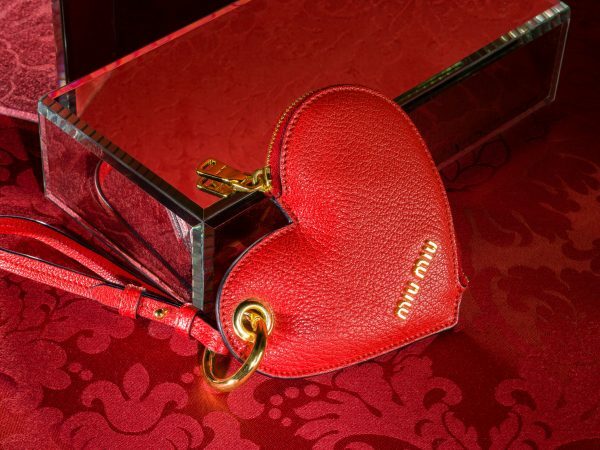 Jewelled hearts also make an appearance and an exclusive logo – MIU MIU Loves – is applied to the madras leather styles. 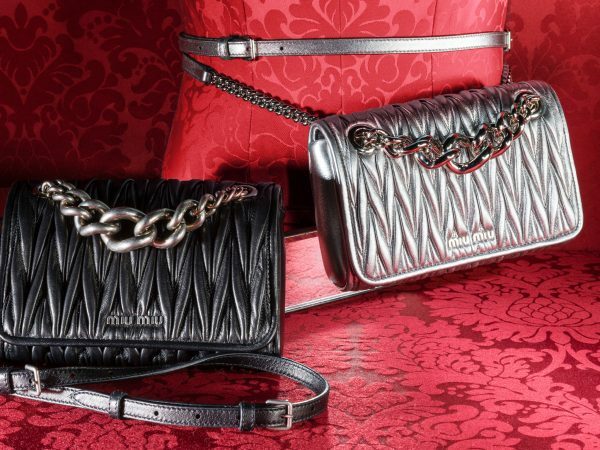 Purses suspended from palladium hardware, wallets, card holders, key chains and bag trinkets all feature in the colors of passion – black, ruby red and sugar pink – often with contrasting linings. 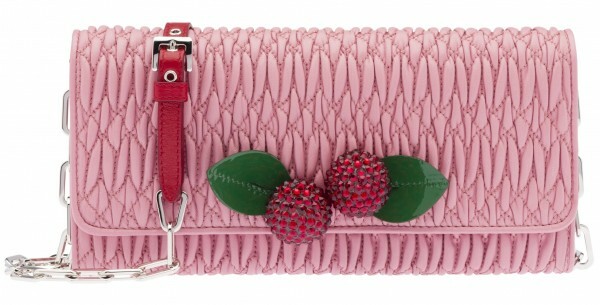 Materials include madras and nappa leather with signature “cloqué” workmanship. 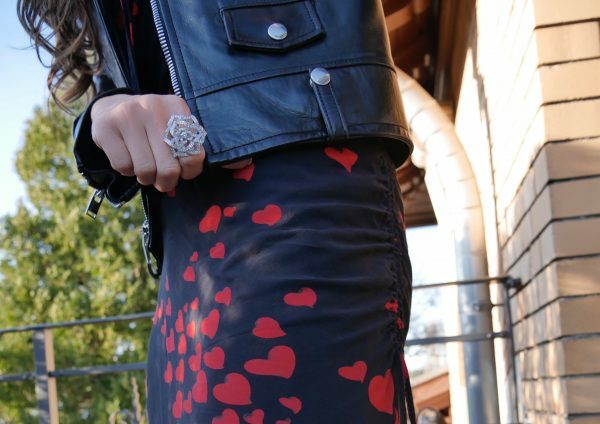 Characteristically irreverent details finish each piece, among them more cherries, hearts and lettering in polished silver or brightest red enamel. 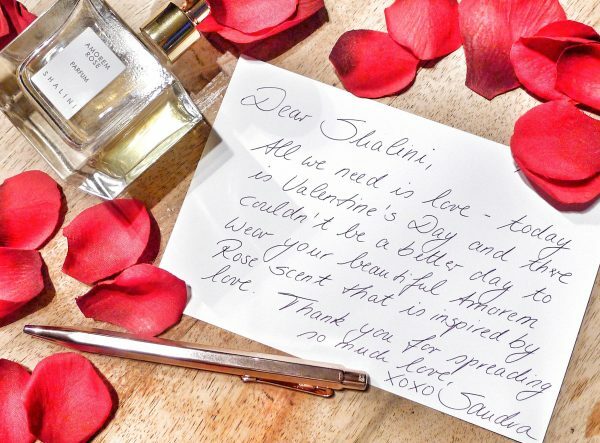 Anybody looking for a Valentine’s Day surprise? 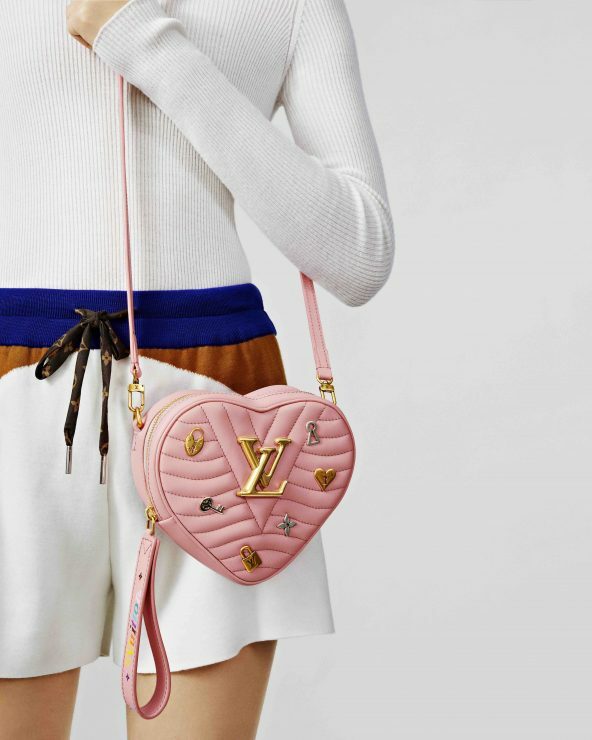 This collection is so beautiful! 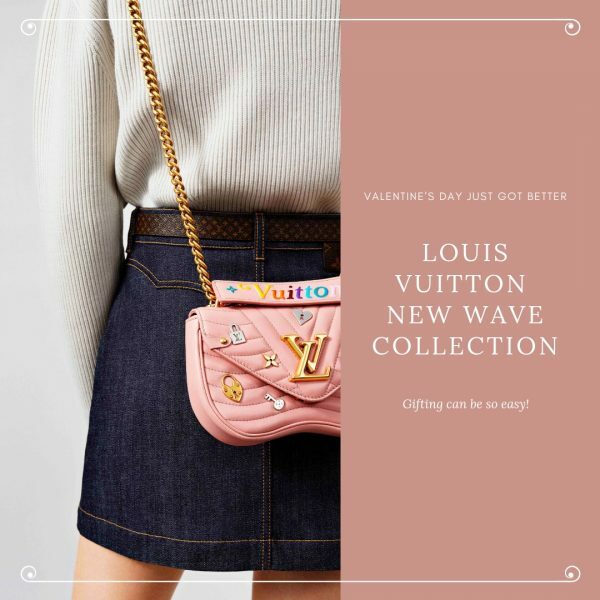 If you need more shopping ideas, click HERE for a previous post. 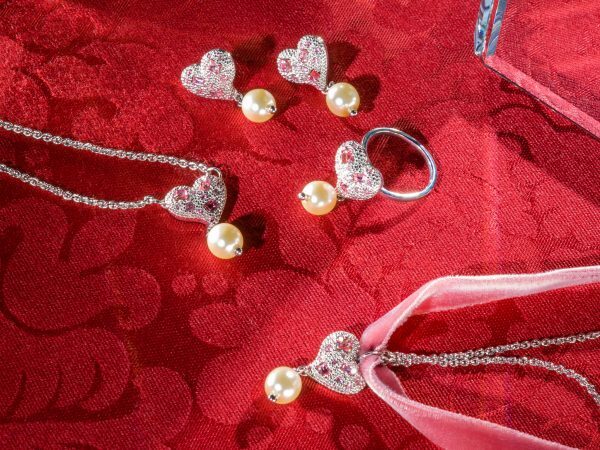 This February 14th, surprise your better half with one of these creative Valentine’s Day gift ideas. MY FAVORITE!!! How cool is this? 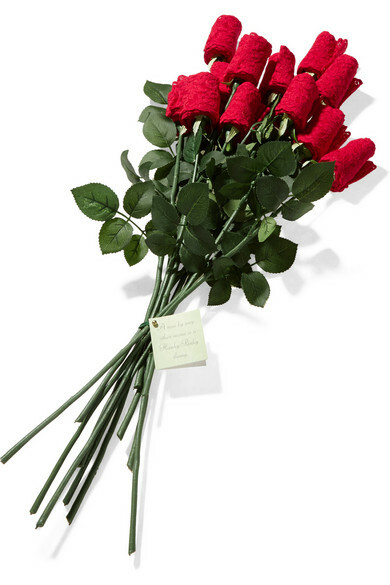 Presented in a long white box with a red bow, twelve of the brand’s signature claret thongs are wrapped onto stems to resemble a bouquet of a dozen red roses. 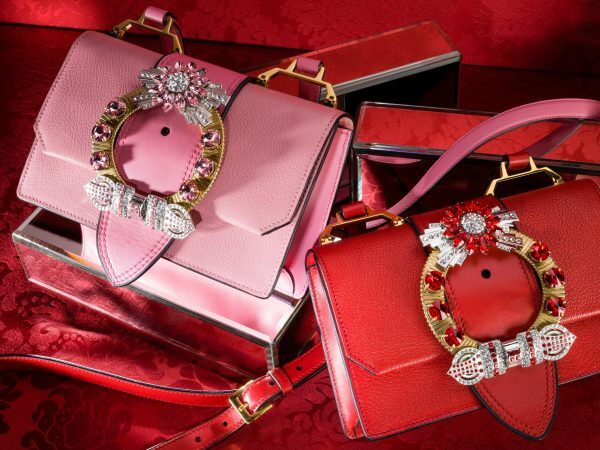 Diptyque and French fashion designer Olympia Le-Tan team up to create the playful ‘Rosaviola‘ collection. 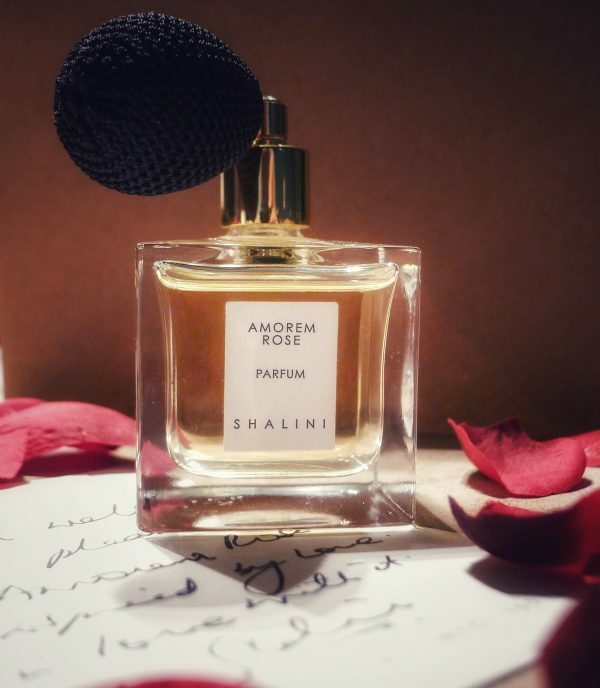 With its soft notes of rose, traces of lipstick and rich leather, this unique fragrance captures the allure of the inside of a woman’s purse. It’s encased in a small oval with a printed hanging cord, letting you fill small spaces or even your closet with the warm, powdery scent. 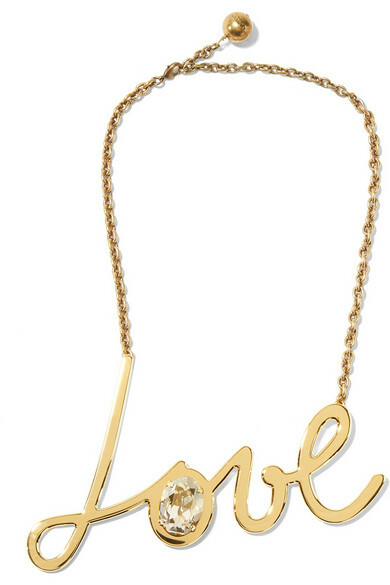 There is nothing more powerful than love and it is nice to carry the statement around your neck. Lanvin’s necklace is cast from gold-tone brass and is embellished with a sizable Swarovski crystal that’s faceted to catch the light. 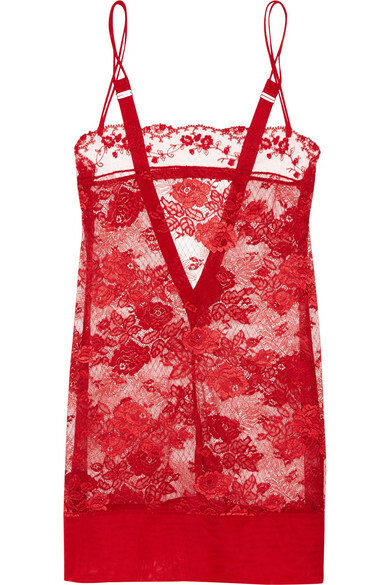 La Perla’s describes the Leavers lace from its ‘Maharani‘ collection as, “an enchanted garden of thread where large flowers blossom across the body.” Trimmed with stretch-tulle, this embroidered claret chemise is characterized by its glamorous V-back and scalloped neckline. 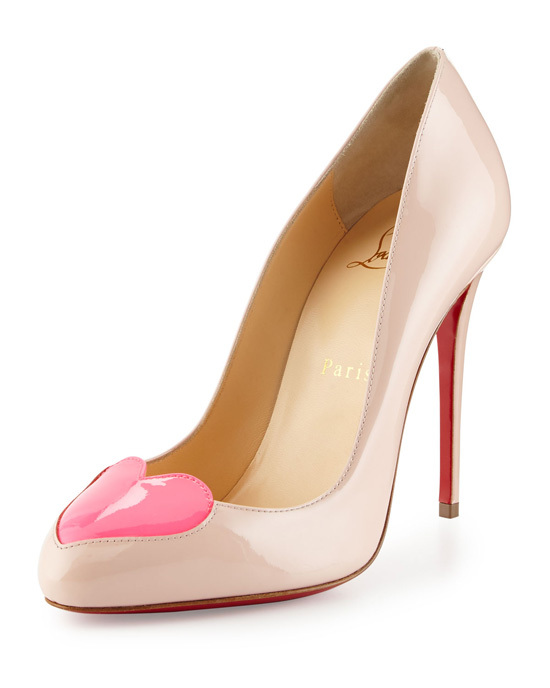 Christian Louboutin says these eye-catching ‘Doracora’ pumps “steal glances wherever you wear them.” They’re crafted from super glossy blush patent-leather decorated with a cute neon-pink heart at the toe. I LOVE!!! 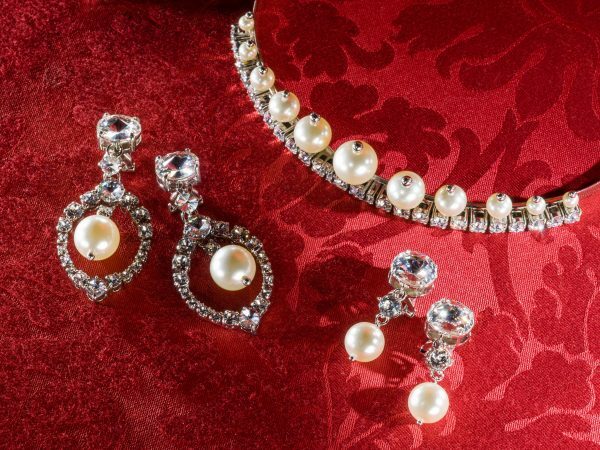 This off-the-shoulder dress is inspired by an amazing love story and named after Hollywood screen siren Elizabeth Taylor – the decorative crystal embellishments are inspired by the Taj Mahal diamond gifted to her by Richard Burton. 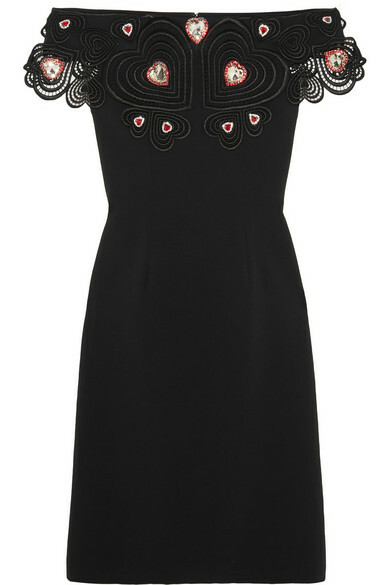 This elegant piece is cut from stretch-crepe and trimmed with pretty guipure lace, playfully patterned with love hearts. 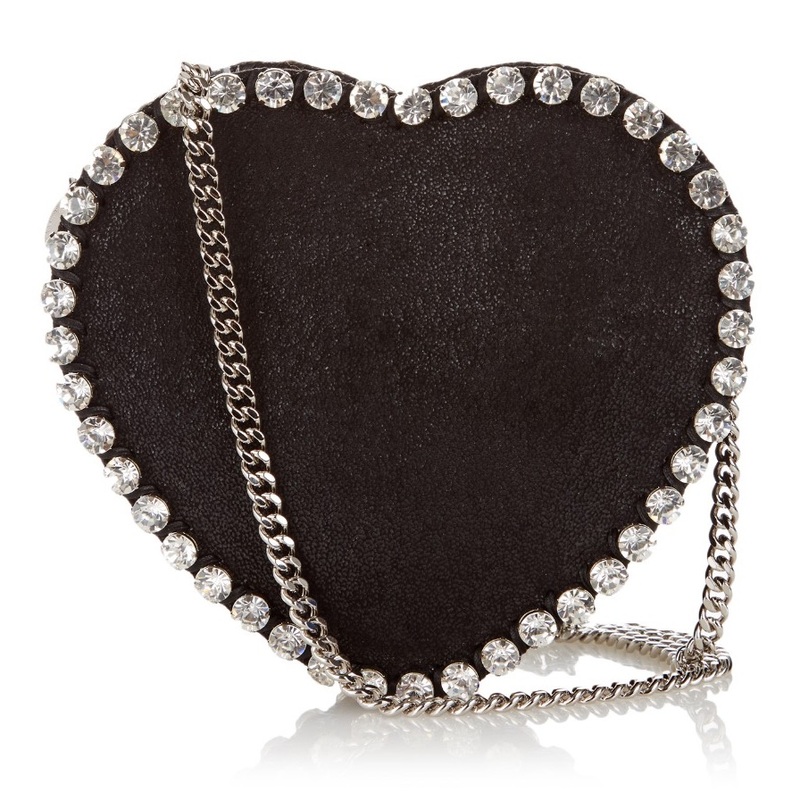 An array of sparkling white crystals brings glamour to Stella McCartney’s black heart-shaped Falabella bag. 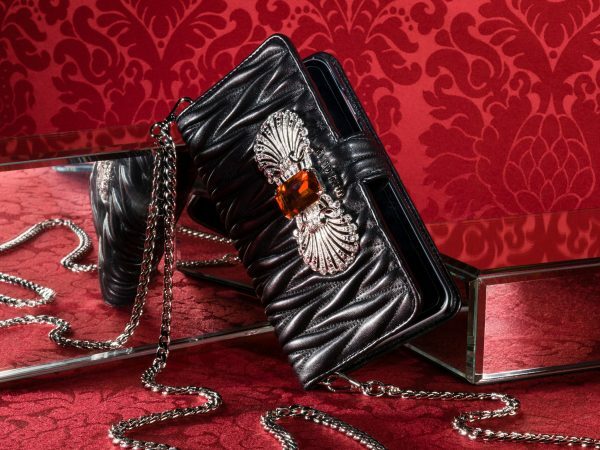 It’s crafted from glossy faux-suede in Italy and features a recycled bottle-lined interior and a cross-body ruthenium-chain strap. I Don’t Need a Valentine.. 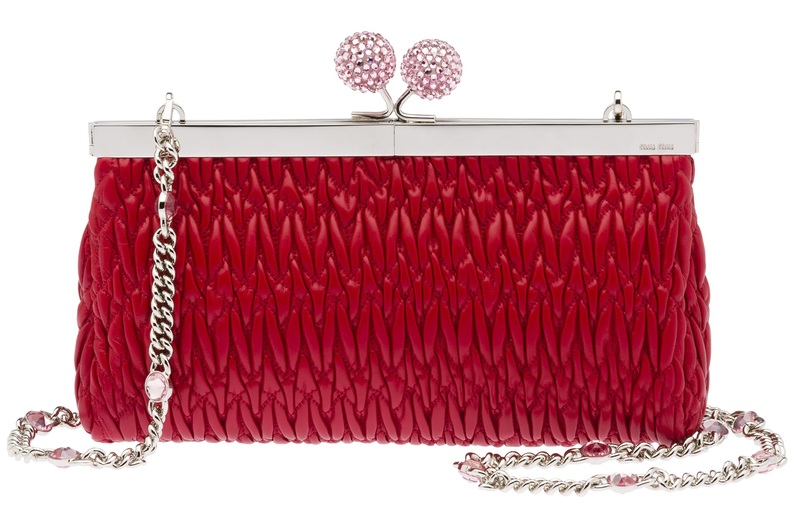 I Need Valentino. 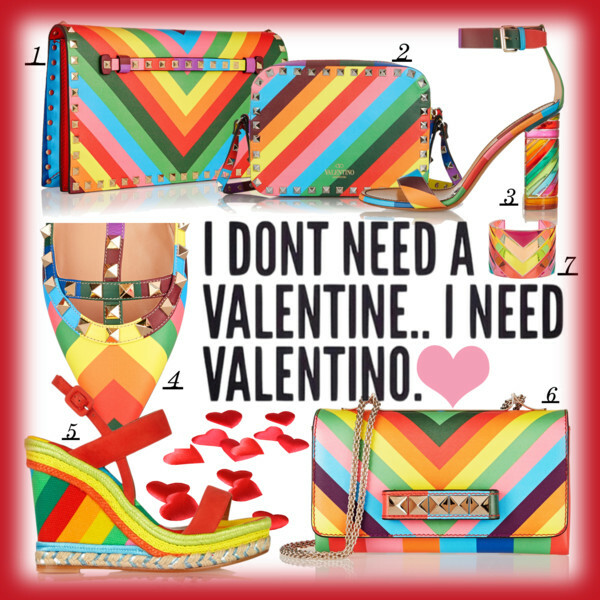 Somewhere over the rainbow, there is my Valentine and it’s a Valentino! 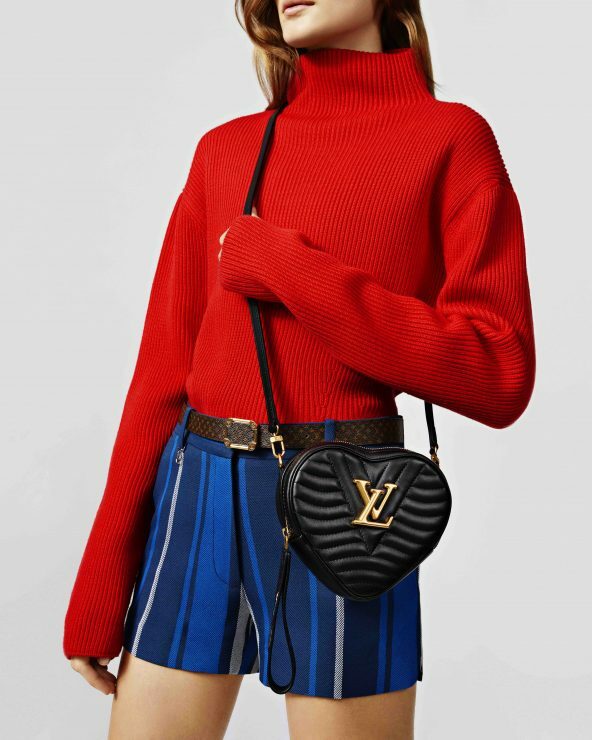 Just when I thought the Rockstud collection couldn’t get any more fabulous, I spotted those rainbow stripes that are absolutely divine. It’s amazing how even after several years, the Valentino Rockstud is still going strong and gets better and better each season. 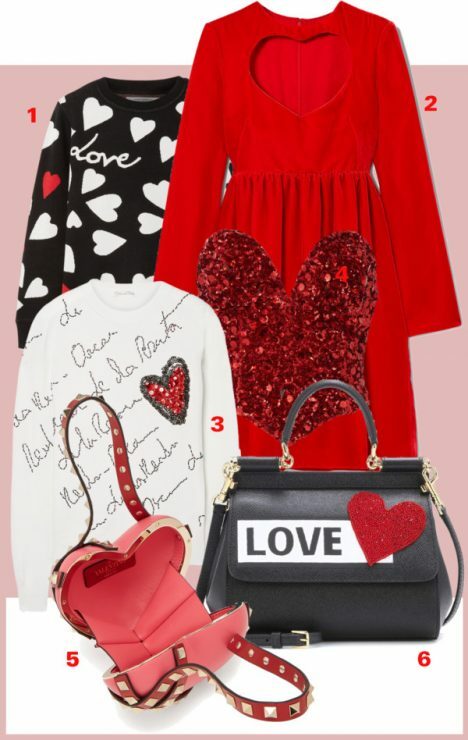 Here is my wish list on Valentine’s Day (in case anybody wants to gift me, I love number 6)!